This entry was posted in atheist, belief, bible, book, christianity, Church, death, faith, God, heaven, homosexulity, information, life, relationship, religion, salvation, spirituality, truth, vitality. Bookmark the permalink. « Can a Homosexual Make it to Heaven? AMEN!!! GLORY BE TO THE GOD OF ISRAEL! Thank God for making things clearer, Bro. Eli! Yahoo! Thanks Be To God. Well said, and everything stated here were based on the Bible! Yehey! Gracias a Dios por esta contesta! Gracias a ti, Bro. Eli. I use to be a Baptist Church member, but when I heard Bro. Eli… well let us just say the time had come for me to be a member of the Church of God. Yes, i really, really believe that religion is very much needed for the salvation of our souls. Let’s say for example in our daily routine task. If we are along in a site of adventure or in a time of which we are planning to go for a vacation in Davao City, then you are here in Cotabato City. You are obliged to ride a bus to go there, then what should you do? You should ride to the exact route of the bus you wanted to go. The sign-age must be in Davao, am I right? Then, if you do not ride to the exact sign-age of the bus then you will be brought to other place. That is why, sign-age is important, like of what really religion is important. But, if it is in a true religion written in the Bible! You are obliged to search for the truth. Joining the true religion as delineated in the Bible is a must for anybody who wants to grasp the true teaching of our Lord Jesus Christ. It is only in the true Church where you can find the messages of God through his Minister, and I believe I have found the one sent by God in these latter days in the person of Brother Eliseo Soriano. Through him,transformation of oneself for the better can be achieved with the help of God. No other religion can come close to the Church of God in glorifying the Almighty. If anyone is really searching for the truth, try his web sites, the soul you save can be yours. Absolute Truth! any perverts dare to refute? At last, we got it from Bro Eli himself. Thanks be to God! We have Bro Eli, for giving the RIGHT INFORMATIONS! I can even share it to my students. To God be the Glory Forever! AMEN. I wonder what “Absolute Truth” means. Well pinch_hopper, we might as well find the meaning of “absolute truth” from the bible itself. We become obsessed of what we can say and preach nonetheless forgotten to think and accept that not all is chosen to be the temple from which His divinity will oscillate to the benefit of those ears that learned to digest what not of this world but that manna originating from His grace. But the father of this world never rest to adulterate and create the pagan state from which he finds possession of life that never really his, followers that blindly lead by a blind, a fool’s gold anonymity. Until, The voice reverberated to the walls of lead, that obstructs the sense which was long and overdue almost forfeited, we found a hole from which we took a deep breath we came and freshen our humid mind. So, the Greek word means that religion is ceremonial observance of something related to worship. Therefore: Religion can be equal to worshippers or a group teaching and observing the doctrines which worship the FATHER in spirit and in truth. But, a group is composed of a leader, preacher, worker and member which they called ecclesiastical or a church. Therefore, a church is composed of hierarchy. of what?, an authority to bind and loose its member or officers who did not worship GOD in spirit and in truth. As the truth lead us to righteousness and spirit is to sanctified. Therefore, we should deny unrighteousness act such as be not deceived: neither fornicators, nor idolaters, nor adulterers, nor effeminate, nor abusers of themselves with mankind, nor thieves, nor covetous, nor drunkards, nor revilers, nor extortioners. And if your church now will not practicing their authority by binding and loosing there members who made unrighteous thing then that church is not the church mention by Lord Jesus Christ. A true counselling should composed of a righteous advice through righteous teaching and heartily caring. So: Counseling is an advice and Care, and advice should have knowledge. So: Is your pastor, preacher or highest priest in the church now as a main counselor FEEDING you the true doctrines of christ and following it entirely. Is your pastor, preacher or highest priest in the church now as a main counselor TENDING your soul by disciplining you, guiding you and depend your doctrines. 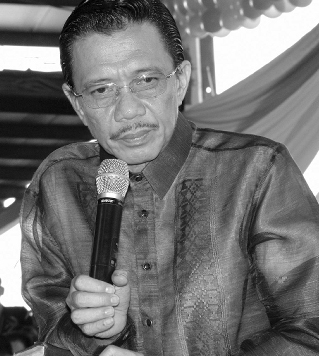 Verily I say unto you that MEMBER OF CHURCH OF GOD INTERNATIONAL leaded by our preacher Brother Eli Soriano. simply to say, HAS IT. Therefore find the best of the best of what you have now! 1.	free from imperfection; complete; perfect: absolute liberty. 2.	not mixed or adulterated; pure: absolute alcohol. 3.	complete; outright: an absolute lie; an absolute denial. 4.	free from restriction or limitation; not limited in any way: absolute command; absolute freedom. 5.	unrestrained or unlimited by a constitution, counterbalancing group, etc., in the exercise of governmental power, esp. when arbitrary or despotic: an absolute monarch. 6.	viewed independently; not comparative or relative; ultimate; intrinsic: absolute knowledge. 7.	positive; certain: absolute in opinion; absolute evidence. The people from the Born Again Movement needs enlightenment regarding this issue. This article is an enlightenment especially to those people who strongly believe that religion is not necessary for salvation. The mere fact that the Bible speaks of a true and undefiled religion proves that it is necessary for salvation, and no Bible-believing person can reject this truth in the Bible, for the Scripture does not speak in vain (James 4:5). Modern sense of “recognition of, obedience to, and worship of a higher, unseen power” is from 1535. Religious is first recorded c.1225. Transfered sense of “scrupulous, exact” is recorded from 1599. Amen!!! I strongly agree to that!!! For what bro. Eli says is on the Bible..
To GOD be the Glory and all thanks. some the born again pastors simplify the thing they so called “salvation” to simplify the flow of tithes hehehe. they dont say sometimes they hid most commandments and even have guts to say it is not necessary for the salvation so that their potential victims(not members) will join them easily and smoothly, therefore the more member/victim the more money. i can boastfully say that I prefer a reader like Brother Eli that dont hide any verse from the bible nor have reservations whenever he speak the words of God. he doesnt care if you will get offended, he doesnt care if you will get angry, he doesnt care if you dont affiliate with the church he is presiding, he will still insist that salvation is not that simple as those deceitful pastor is saying. he will still insist that religion is vital to salvation, you kow why? because brother Eli is not merchandising the words of God nor merchandising you, he is not interested in your money, but he is interested in your soul’s salvation, that’s why, even though how complex it is, he will say and read it even if the whole world hates him. besides, it is better to be hated by the whole world than be hated by God. it is better to lose everything and everyone, than lose God. Thanks to God for defining “Absolute Truth”. It may not be a very good example, but it came into my mind that men are like the fish in an aquarium which is the church, or religion, the water and the food are the teachings and admonitions of the leader like Bro Eli. Take the fish out of the aquarium and it will die. Put a dirty water and improper food, this stands for the fake church leaders, whose teachings and doctrines are not biblical, and just the same, the fish will not survive. As the aquarium must be a good and true aquarium, so is the church or religion be the true biblical church, which is the CHURCH OF GOD as mentioned in many verses in the bible. Thank you so much Bro Eli for this blog, and for you biblical explanation of the things related to the topic. WE GIVE THEE THANKS O LORD. Do you really know your bible? 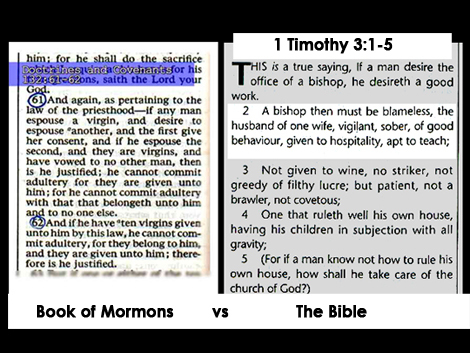 Where can you find in the bible that you will be saved by your religion? The verses that has been given here are irrelevant to salvation? Give me a verse that says you will be saved by your religion? How can you say that these verses are irrelevant to salvation? Are you saying that those verses written by the apostles are irrelevant to salvation? Do you even think before you speak Mr. Jake Sadia? Do you know what you are saying? It is like you are asking for a verse that Jesus said He is a God. You can never find that in one verse only. You have to search and read what is written in the Bible to know that Jesus is really a God. The same goes for your question. Learn how to read the whole context of the Bible. Not by verse only.